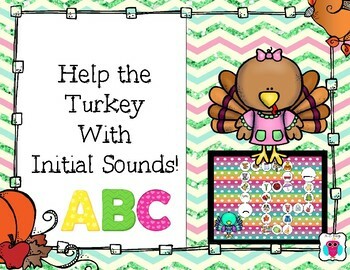 Have your children help the turkey figure out the initial letter sounds. 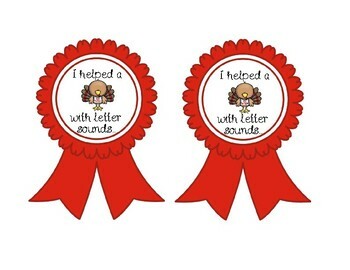 This is a fun way to practice initial sound recognition. 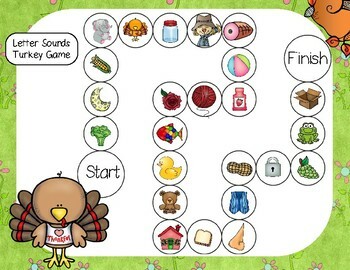 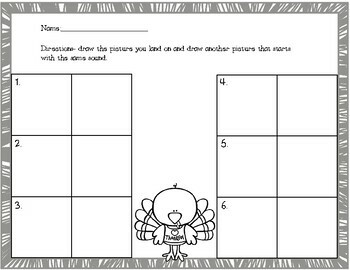 This set includes four game board choices, a worksheet for drawing initial sound matches, a printable dice, placers and award ribbons for helping the Turkey.